Day Camp positions do not provide accommodations. If hired, applicants are responsible for arranging their own transportation to and from sites and lodging. 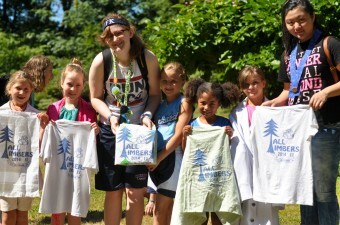 If you are looking for a summer camp job that provides room and board, check out the available Camp Sealth positions. Coordinate and lead a leadership development program for CITs. Extensive experience with teens and leadership development is required to apply. 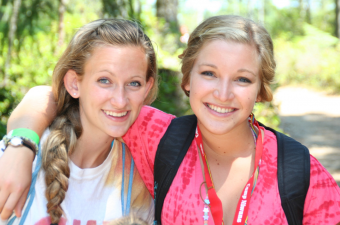 Direct a one week day camp for children in grades K – 7 with volunteer adult & teen staff. Plan and conduct your day camp in accordance with Camp Fire philosophy, policies, standards and requirements. At least 2 prior seasons of administrative or supervisory experience in an organized camp required to apply. Assists Site Directors as needed! Duties can include a Registration Assistant, Purchaser, Equipment Supervisor, Counselor, Specialist etc. Basically a jack of all trades! May hold one position throughout the week or fill in where needed. This position will also run the extended care program.